Dynamic product filters allows your customers to narrow down the viewable products to match specific characteristics they are looking for on your store. For example. Customers will be able to view only products of a certain color, size, material, brand, or cost. This gives your customers the ability to find what they are looking for more efficiently. Your customers will be able to choose only the combination of options which you would like to present. 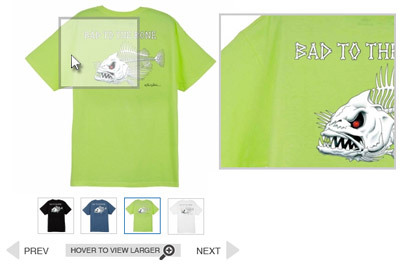 Dependent options also gives customers the ability to purchase a highly customized product. 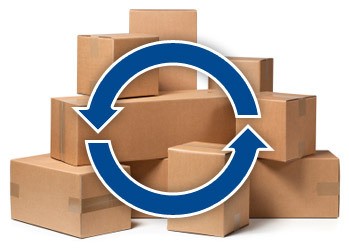 Each available combination of dependent product options can use SearchFit's inventory control system. 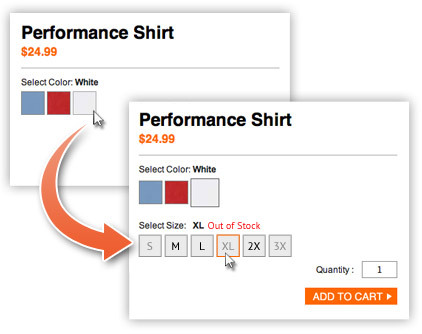 This powerful capability allows you to prevent ordering option combinations that are out of stock. Having a great image display makes customers excited about your products and can give them the emotional push they need to make a buying decision. Image galleries also help customers explore your product. Customers can see the products in different angles and situation, giving them a more realistic perception of the product. This helps give customers the details about the product they need in order to make a buying decision. 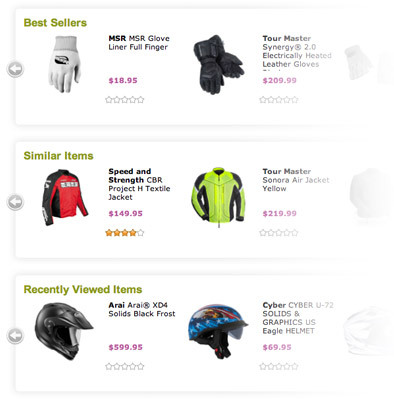 Give your customers more opportunity to find what they need by showing them Related Products on the product page. 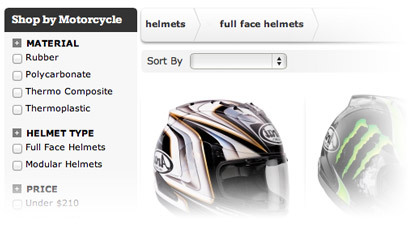 You can easily import Related Products, group them and show them in the best way possible in SearchFit. You can group them as straightforward Related Products, or group them as product accessories to the main product. 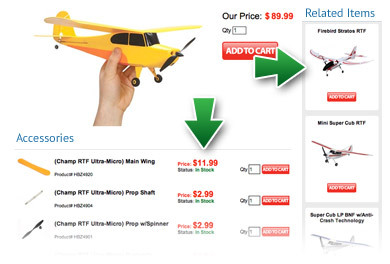 Then show both of these groups in different ways to make the product page more appealing and informative.